THE DARK days of January can be a dreary time of year but NUIG’s Comedy Soc, in association with Bank of Ireland, has the perfect antidote to those seasonal blues with January Laughs, an evening of top-notch comedy with some of Ireland’s leading laughmeisters. January Laughs takes place on Thursday January 17, and will feature Show Me The Funny 2018 winner Breda Larkin, Republic of Telly's Kevin McGahern, and "Ireland's oldest and least successful boy band", Totally Wired. The MC will be Karl Spain. 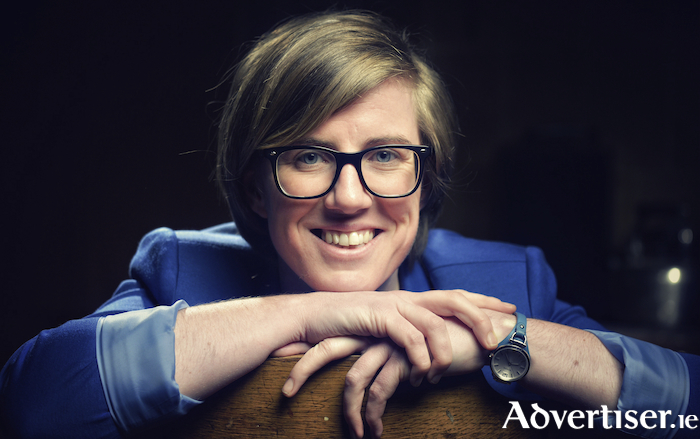 Breda Larkin is from Ballinasloe and her shows have explored everything from moving statues to Mary Robinson and being a lesbian in rural Ireland. Her style, to quote The Irish Times, ranges “from strummy ditties to gently impassioned polemics and enjoyably daft puns”. Totally Wired’s brilliant blend of comedy and music has made the duo firm favourites on the touring and festival circuit. Cavan’s Kevin McGahern is one of Ireland’s quirkiest stand-ups and has flourished on TV, film, and stage since making his breakthrough in 2009. This year sees him tour his new one-man show, Solo Pollo. MC Karl Spain (“achingly funny” – Sunday Times ) has appeared on numerous TV shows and at leading festivals around the world. Sarah filled me in on the society’s profile and looked forward to the January Laughs jamboree. Originally from Kilkenny, Sarah has been a stalwart of Comedy Soc for the past three years and, as auditor, has built on the great work of previous auditor Niall Horisk, who re-energised what had been a moribund society prior to his arrival. “Niall really brought Comedy Soc back from the ashes during his two years as auditor,” Sarah agrees. “When we came in we had something solid to work off which Niall didn’t when he took over so we had an easy enough job taking over." There will be more top notch gigs from Comedy Soc in 2019, as well as comedy workshops for budding stand-ups. “We did one workshop two months ago and the people who went to it found it very beneficial,” Sarah notes. “That’s one thing we’re always asked about because people have no outlets to try out stand up in Galway at the minute; there are no open mic events currently for comedians. January Laughs is open to both students of the university and the public, and will take place in the Cube Theatre (Áras na Mac Léinn, NUIG ). Tickets are €5 and are available from NUIG's Socs Box and www.eventbrite.ie For more information see NUIG Comedy Soc on Facebook, Twitter, and Instagram.